A "redhead" Smew was briefly at Wykeham South Lake before leaving east. The Great Egret was seen flying over Crossgates mid morning and later at Burton Riggs early afternoon, also there 3 Goosanders and a Kingfisher. Four Dark-bellied Brent Geese were at Yons Nab close to the seal colony south of Cayton Bay. A juvenile Whooper Swan was at Harwood Dale Lake , the herd of 11 were still grazing at Flotmanby Carr. 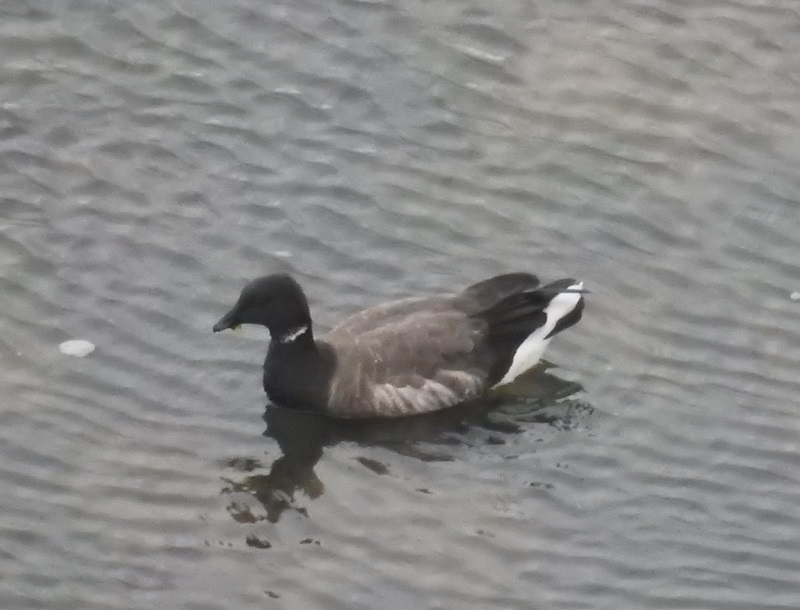 Highlights past Long Nab included 7 Eider, 3 Little Gulls, an Arctic and 3 Great Skuas, also 2 Fieldfare there. At Johnson's Marsh there were 46 Teal and 4 Wigeon. 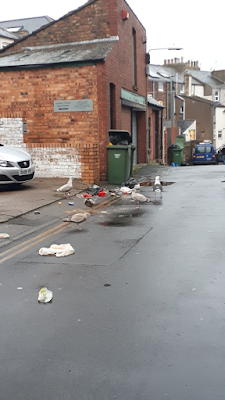 I wonder if the owner of this bin below realises that they are contributing to the continuing conflict between humans and gulls in Scarborough? Herring Gulls & a Gbb Gull enjoying breakfast today from an overflowing bin in the town centre!